Opal Elaine Howard, 89, of Fayetteville passed away November 2, 2018. She was born in Meriwether County, Georgia on July 18, 1929 to the late Luther and Ruby Tenney. Opal retired from C & S Bank after 32 years and she was a dedicated member of New Hope Baptist Church, South in Fayetteville. Opal was preceded in death by her husband, James Lewis Howard in 2011; two grandchildren, Matthew Howard and Tyler Flesher. She is survived by her daughter, Sherri (Jeff) Flesher-Miller; son, James R. Howard; grandchildren, Patrick Flesher and Ryan Flesher; step-grandchild, Emily Miller; brother, Verne Tenney; sister, Shirley King; and many nieces and nephews. 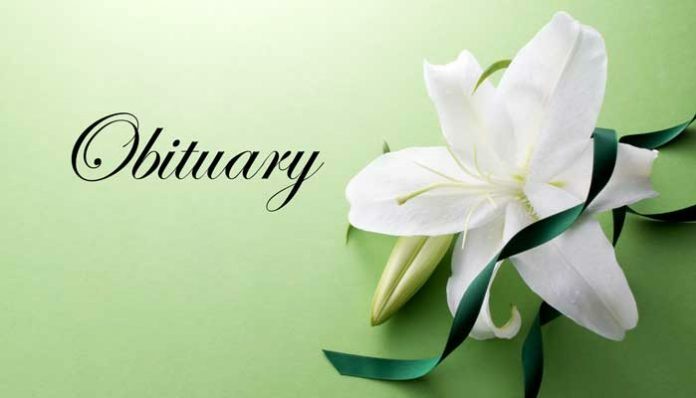 A funeral service will be held at 1 p.m. on Monday, November 5, 2018 at the Chapel of Mowell Funeral Home, Fayetteville. Burial will follow the service at Camp Memorial Park, Fayetteville. The family will receive friends from 5-7 p.m. on Sunday, November 4, 2018 at the funeral home. In lieu of flowers, the family request donation to The American Heart Association, www.heart.org.